A key mistake most businesses make is to put all their effort into customer acquisition but fail to pay attention to the customer journey that encourages them along the way to making that first (and subsequent) sales. It is significantly cheaper to convert someone already aware of your brand (and even cheaper to sell more to existing customers) than it is to continually be creating campaigns aimed at attracting a cold audience. Savvy digital marketers use a tried and tested approach that we call online funnel marketing. The process abounds with marketese – read magnets, lead magnets, tripwires, upsells, one time offer and core offers amongst the freebies, time limited promotions and other conversion devices. In this comprehensive eight module, three hour, course we demystify the concept of the online marketing funnel. We break down each element and show how you too can harness it’s power to better convert your prospective customers. This course is packed with practical advice as well as examples of online marketing funnels that work. We also examine the elements of an effective, ad, email and landing page to enable maximum conversions. The concept of the marketing funnel, or customer journey is not a new one. AIDA will be familiar to most marketers. But the online marketing funnel is a little more prescriptive and contains a series of interlocking steps which are used in relatively rapid succession to take a user from a stone-cold audience to the committed repeat customer. This 6 minute introductory video introduces you to the concept of funnel marketing and outlines the full course. Module 1 – What is funnel marketing? Introducing all the key terms associated with funnel marketing from read magnets to tripwires, free (plus shipping) lead magnets and the core offer. This module also stresses the importance of segmenting your potential customers into cold, warm and hot audiences with associated emails, landing pages and product offerings. 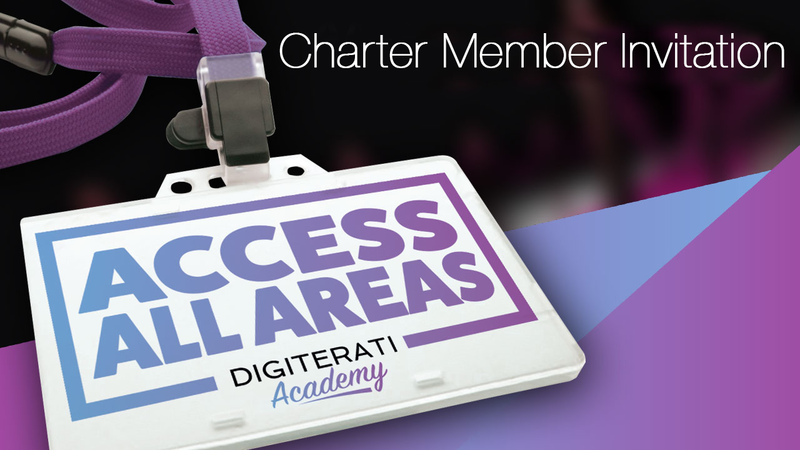 We also introduce the concept of the value ladder and share a value ladder for Digiterati with the associated communication platforms and devices. The next stage in the funnel has multiple names but is primarily focussed on turning your prospect into a fee paying customer. 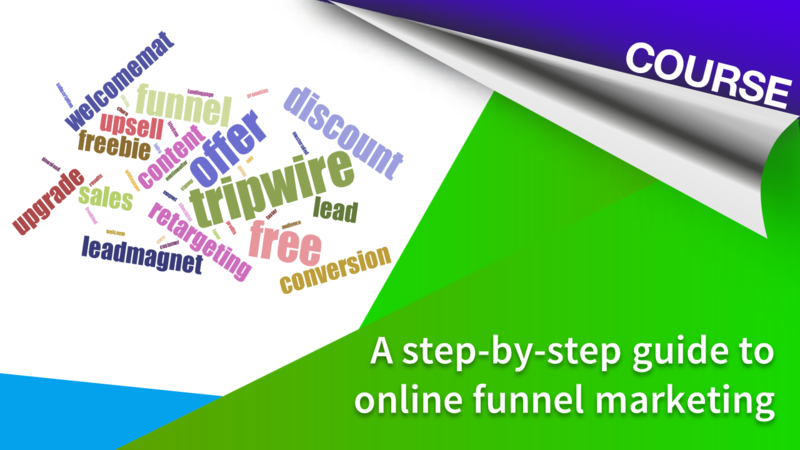 Many marketers are able to turn a profit even at this early stage with income from the tripwire offer easily covering the marketing costs to date. It is this stage in the funnel that so many marketers miss out. They assume that they can instantly convert a prospect into a buyer of their core product but it is simply too soon and not enough trust and commitment has yet been earned. As before this module is packed with highly effective examples and ideas for your own tripwire. The one time offer is another way of both driving profit, but also delivering fantastic customer value. This module describes the one time offer and gives some examples of the concept in practice. Finally we get to offer the product or service you have been itching to sell all along. But because of the funnel this time you are going to achieve sky rocketed conversions rather than a lack lustre response. Here we explain how the core offer works as well as providing some great examples of it in action. Having completed the teaching on the funnel itself we now focus on the communication devices and platforms to get your messages out. This module is packed full of practical examples as well as checklists of email and landing page good practice. We take you behind the scenes to two real case studies of intro offers and tripwires that really converted. We’ve screen-grabbed every step of the process (feel free to steal!) and even critiqued our own work showing you what we’d do differently this time. We’ve made the mistakes so you don’t have to! We’re sharing landing pages, email copy and even Facebook ads that work. Not only a recap of the course but lots of final thoughts and a few new ideas! These include unpacking the different between the different steps/offers in the funnel, thoughts on when to surface each offer and more ideas on the content and formats of your possible offers. We share the golden rule of online funnel marketing and show some behind-the-scenes examples of a content marketing approach that combines with core offers. Finally we look at the topic of profitability and discuss how funnels can be profitable even at the Tripwire stage.